Some 15 years in the making and after multiple delays, sci-fi epic ‘Alita: Battle Angel’ finally arrived on January 31, but the Japanese manga-inspired action film earned only lukewarm reviews. The tale of a cyborg heroine in a post-apocalyptic world, ‘Alita: Battle Angel’ was a passion project for acclaimed ‘Avatar’ director James Cameron for years before he turned it over to director Robert Rodriguez. “It’s a more universal story than I think people are expecting,” the director said. Rodriguez has said the movie’s budget was around $150 million (Dh550.8 million). The release date was pushed back twice by Hollywood studio Twenty-First Century Fox. Early reviews were largely disappointing. 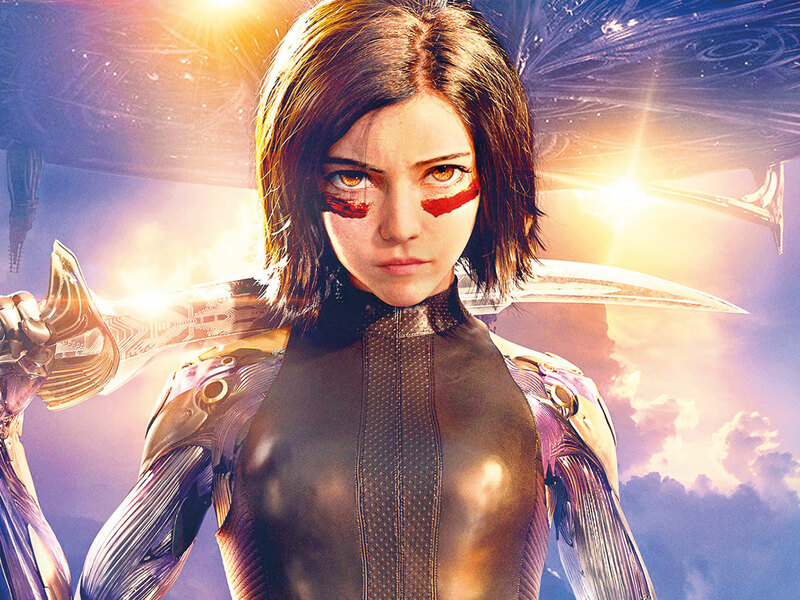 While praising the film’s slick action sequences and the expressive, huge-eyed Alita — who is played by actress Rosa Salazar with CGI effects — many movie critics found the characters thinly developed. Los Angeles-based IndieWire was more enthusiastic, saying the film “lives up to its potential while leaving you wanting more.” Manga movies have proved a hard sell to Western filmgoers in the past, but Cameron, who retains a writing and producing credit, said that ‘Alita’ was different. “We know the film is a crowd pleaser. We know that for sure. Now, we know the audience will go with her [Alita] on her journey and believe in her and feel her spirit,” he said. The movie has also faced criticism for not casting Asian actors in the lead parts. Yukito Kishiro, who wrote the original graphic novels, said he did not share the misgivings. “I think it’s a perfect cast. Had they had, say, a Japanese actress who can act the great action scenes, sure. But I suppose the casting people decided to go with what we have because there is a reason for that. I’m happy with that,” Kishiro said on the London red carpet. ‘Alita: Battle Angel’ opens in the UAE on February 14.